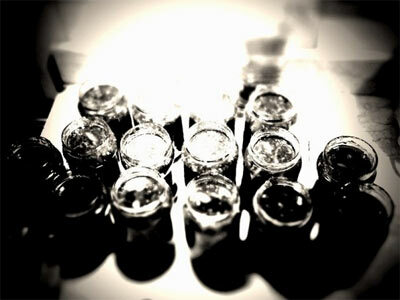 From the monthly archives: "October 2009"
Photo above by Mark Jaffray with The Best Camera iPhone App. A recent study showed that people were more concerned about losing digital photos than they were about losing their digital camera. This brings home the importance of making sure you have backups of your photos – if a hard drive dies in your computer and takes your photos with it – then it would be awful if you didn’t have a backup. Perhaps one of the easiest, and possibly cheapest ways, of backing up all your photos (and other data) is to buy an external USB hard drive, such as the Seagate 1TB USB Drive (£62), Western Digital 1TB USB Drive (£63), or Lacie 1TB by Neil Poulton (pictured above, £71), and setup an automatic daily backup. Free backup software that can backup your data may have already come with your PC such as Windows Backup, or alternatively you can use one of these free programs: ToDo-Backup, or EzBackItUp. You may even be able to get free backup software included with the USB Hard Drive, for example, the Verbatim 1TB USB Drive (£69) includes Nero Back It UP Essentials. It’s also important to make sure you copy photos from your camera to your computer as quickly as possible, and regularly so that if the camera is lost, then you hopefully wont have lost any photos. There are additional ways you can store or backup copies of your photos, for example, you could upload them all to one of many free photo hosting sites, for online backup. Or alternatively you could look at backup to CD/DVD, perhaps using Lightscribe (picture above) to label the discs, or even more technical storage involving RAID drives. For more information on the numerous options available, have a look at PetaPixel’s Guide to Long Term Backup. 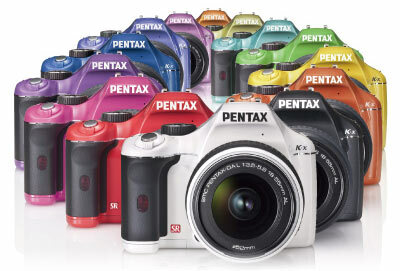 Photography BLOG has reviewed the new Pentax K-x Digital SLR – with “100 colours, 100 styles” it features different body and grip colours (in Japan), a 12.4mp CMOS sensor, sensor shift image stabilisation, dust reduction, 2.7″ live view screen, 11 point AF, ISO6400, RAW, HDR (combining 3 photos), 1,280 x 720 (16:9 aspect ratio) 24fps video, 4.7fps shooting, SD card support and takes AA batteries. 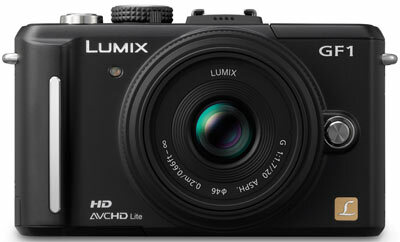 The camera is available for £599 with 18-55mm kit lens. Digital Photography School has reviewed the Olympus PEN E-P1 Micro Four Thirds camera – The E-P1 is one of the world’s smallest digital camera with changeable lens, it features the same size sensor as other Olympus Digital SLRs (meaning much better image quality with all the low-noise benefits of a DSLR), but with a camera body and lens size much more in like with a compact point and shoot. 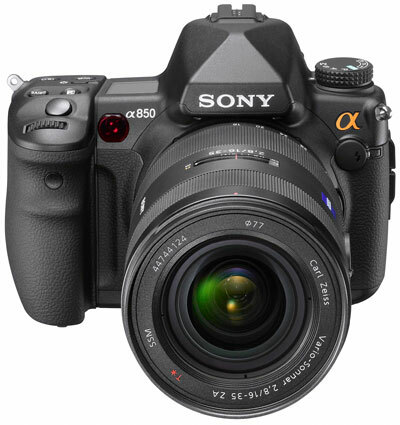 It is available for £579 (body only) or with a 17mm lens (34mm equivalent, with viewfinder £699), and 14-42mm 3x zoom lens (28 – 84mm equivalent, £599). It’s also available with both lenses for £849. ByThom has reviewed the new Panasonic Lumix GF1 Micro Four Thirds DSLR – the camera features a 12.1 megapixel live view sensor, HD 720p Video at 30fps, 4:3, 3:2, 16:9, 1:1 aspect ratio, AF assist lamp, ISO100 – 3200, 3fps shooting, 3.0″ 3:2 aspect 460k pixel screen, dust reduction, and built in flash. 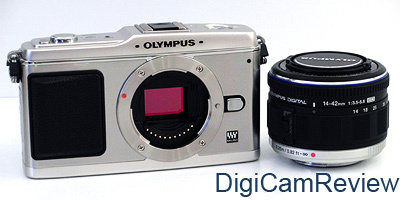 Compared to the Olympus E-P1 – It lacks the in body image stablisation, and instead relies on optical IS in the lens. 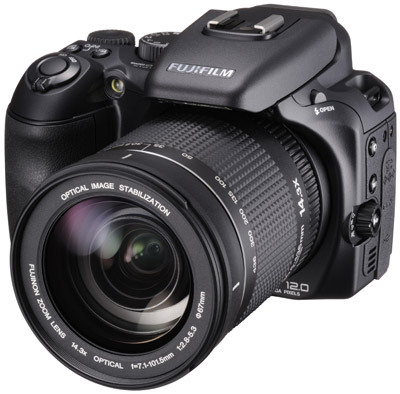 The camera is available in Black, Silver, Red and White, for £699 with kit lens, or £449 body only. Read Panasonic Lumix GF1 Reviews: DPExpert, DPExpert GF1 and E-P1, ePhotoZine, The Online Photographer, DPReview, DCResource, Luminous Landscape, HardwareZone, Which43.com, Previews: Davids Simple Photography Hands On, Pocket Lint, DPNow, Links: Read the full GF1 Press Release, Related: Why I love Micro FourThirds (TOP). 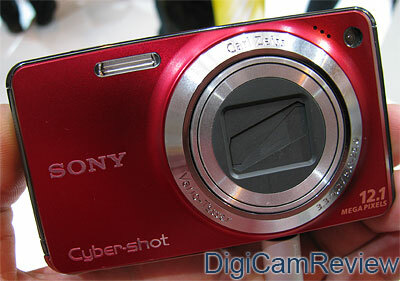 Read more Sony Cybershot W270 / W290 Reviews: Cameras.co.uk, Cameralabs, Trusted Reviews, More pictures of the W270 at Focus. Cameralabs has reviewed the new Nikon D3000 – an update to the D60 – it features a 10 megapixel sensor, 3fps shooting, 11 point focus, 3″ LCD, SD support, new Guide mode, and ISO 100-1600. 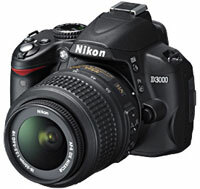 The Nikon D3000 is available for £399 with VR kit lens.